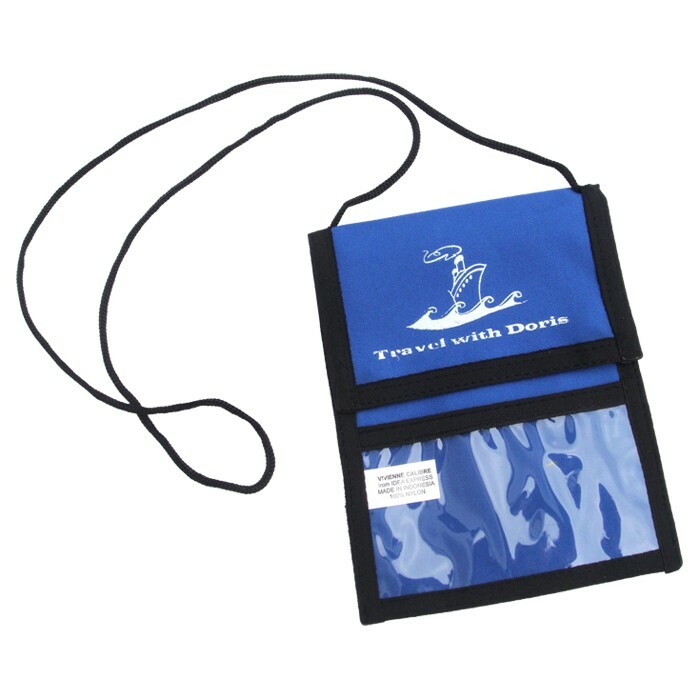 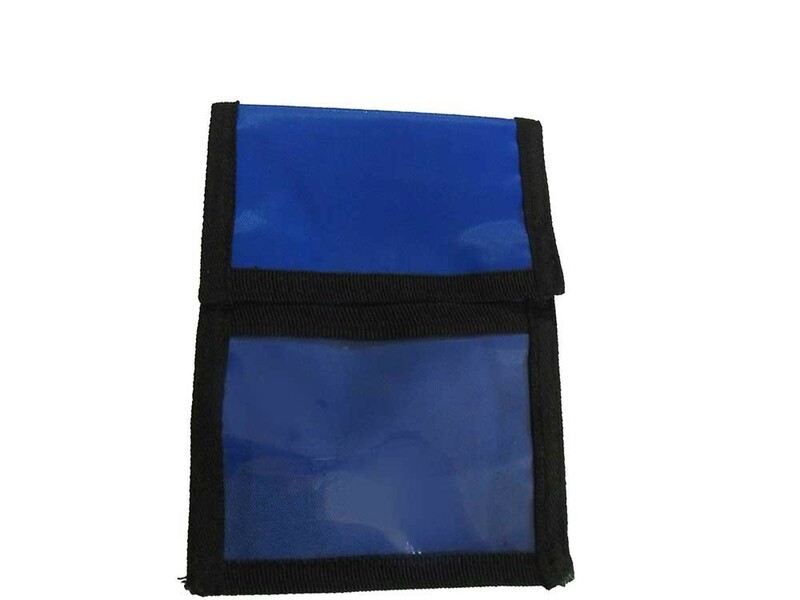 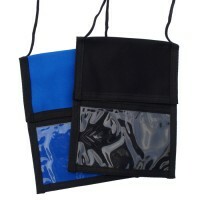 Promotional Neck Wallets features fold over top and front display window. 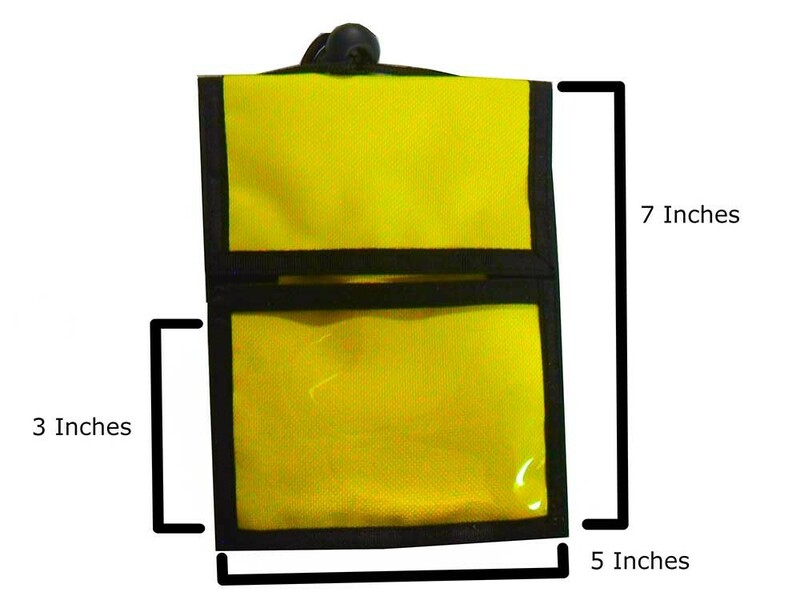 These are made out of a super strength nylon material, and measure 7" x 5" wide. 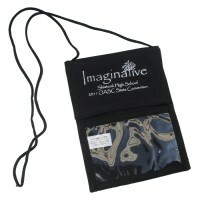 There is a large imprint area to advertise your business or event directly above a 4.25" x 2.5" clear window. 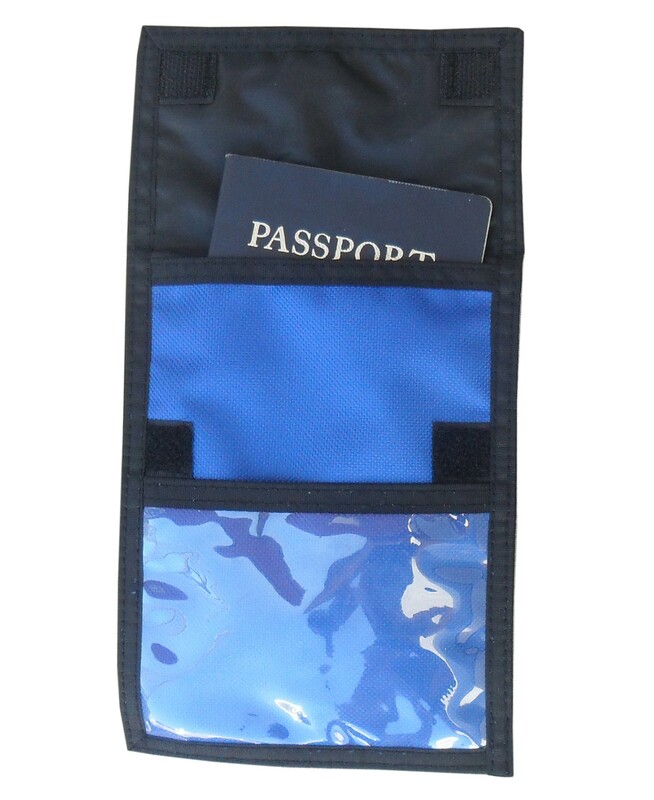 Has a deep pocket under the velcro-secure flap, and another pocket in the back. 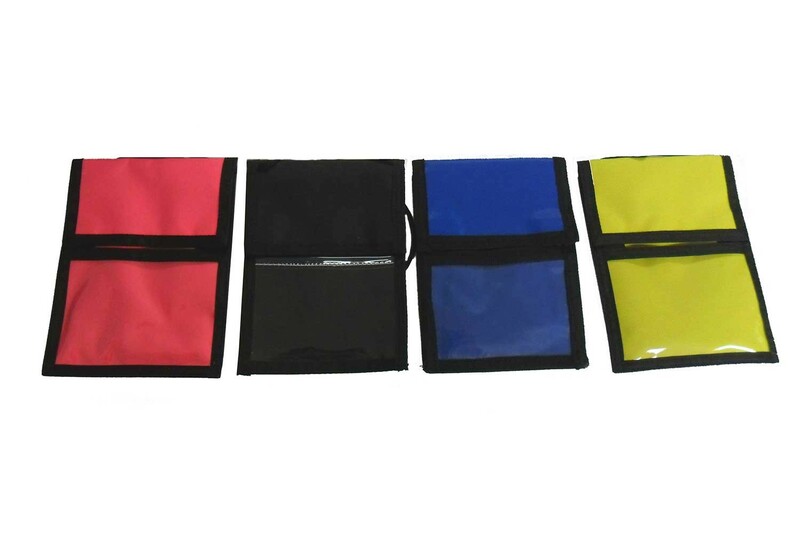 Order your custom printed neck wallets in either black, yellow, pink or royal blue. 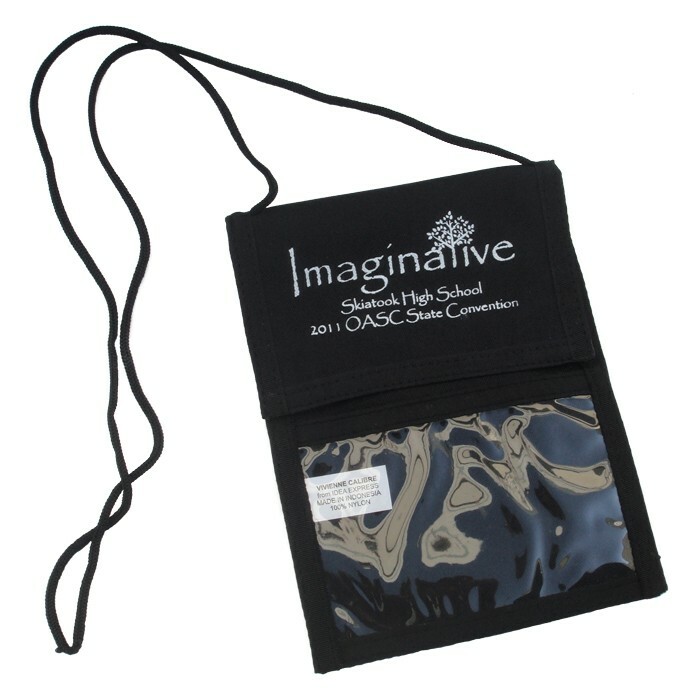 Looks great with white or black imprint! 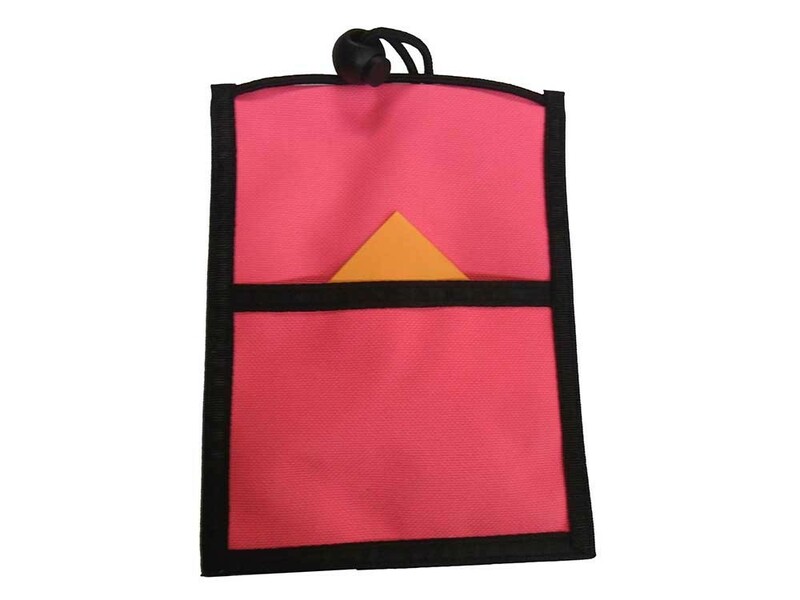 **Are You Submitting a Logo / Design?